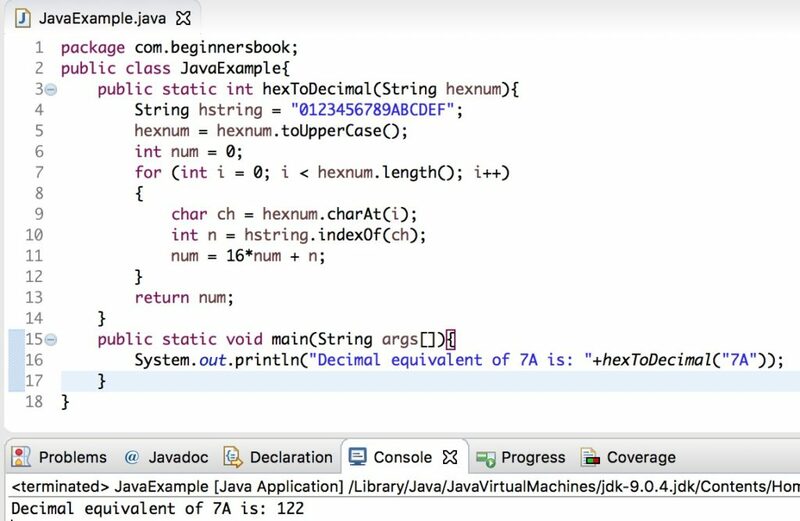 In this guide, we will learn how to convert a hexadecimal to a decimal number with the help of examples. 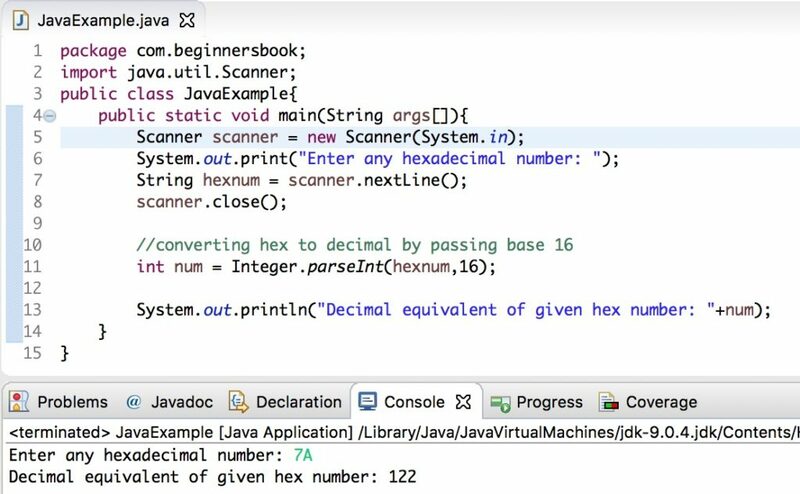 We can simply use Integer.parseInt() method and pass the base as 16 to convert the given hexadecimal number to equivalent decimal number. 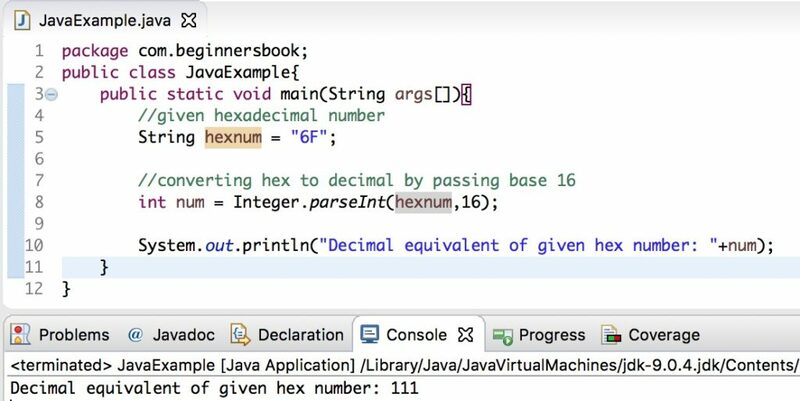 Here we have given a hexadecimal number hexnum and we are converting it into a decimal number by using Integer.parseInt() method and passing the base as 16. In the above example, we have given a number. If we want we can get the input from user and then we can convert the input hexadecimal number to a decimal number using the same logic that we have used above. Here we are not using any predefined methods for the conversion, we are writing our own logic to convert a given hex number to a decimal number. We have written our conversion logic in a user defined method hexToDecimal(). This example also uses charAt() and indexOf() methods of String class.